Oxford Castle was built by a Norman baron named Robert D'Oyly around 1071-3. Today nothing more than the motte, or mound, remains of the original castle, but nearby is the 12th century St George's tower. After languishing in a ruinous state for many years the castle and the later prison which occupied the site have now been remodelled into an area combining the historic and castle buildings with modern eateries and a hotel. 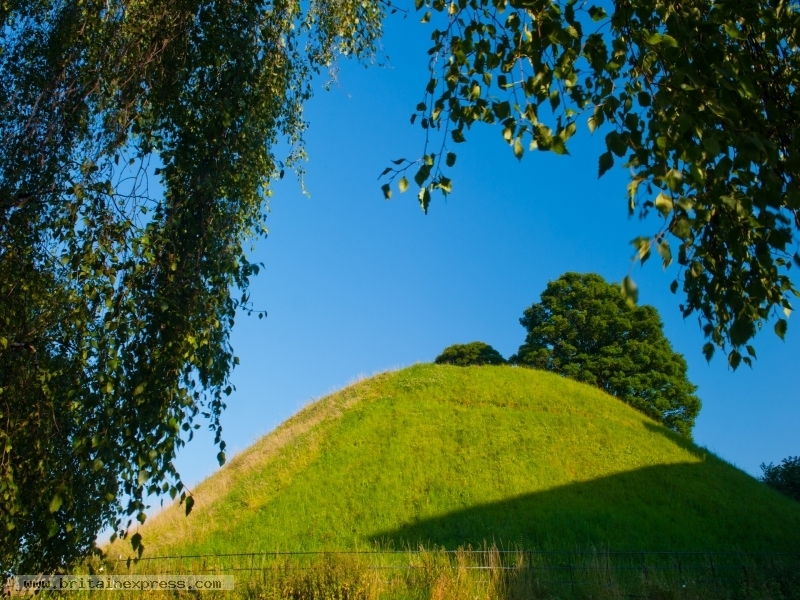 This view of D'Oyly's motte was taken from the western side of the site on a late summer evening.